I am guilty of a horticulture crime!! I admit I love to be outside tending to my beautiful plants, but the reality is I’m not as discipline as I should be or use to be. What once was happy buds are now sad, sad stems and a very bitter Ben the Bear fishing. Family, work, bad weather or let’s just face it…getting old and lazy stinks! We stop doing what we love….what we once MADE TIME for! Like pretty floral decorations grown and harvested straight from my garden and put in a pretty vase my sister gave me!! 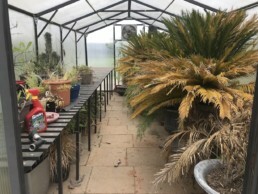 It was a hard winter, even my greenhouse couldn’t keep up with Old Man Winter this year! These guys are usually bright eyed and bushy tailed! Not this year! They will need some extra TLC and for some…..RIP! The verdict is in and good news…we still have time to make wrong right!! 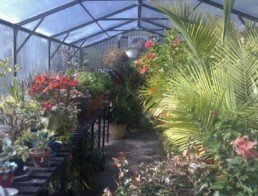 Spring just sprung and we have time to spruce up the chlorophyll in our lives!! 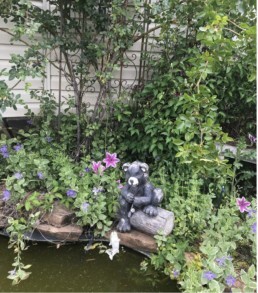 After all, my garden is my gym, my therapist, my pride and joy and has been an important part of my life since I was a little girl. 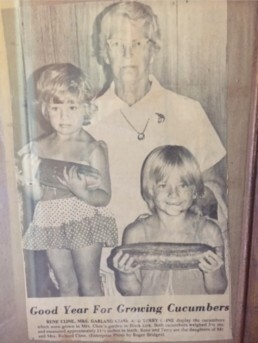 This is me at about 4 years old with my sister and grandmother showing off her giant cucumbers! Yep we made the made paper…everyone’s famous in a small town! 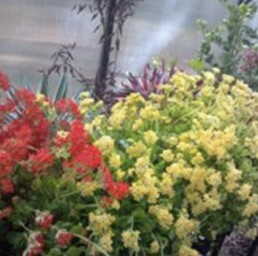 I hope all of you horticulture felons in denial of neglecting your green friends feel better after reading this (at my expense) and ready for those April showers to leave and make time for May flowers!